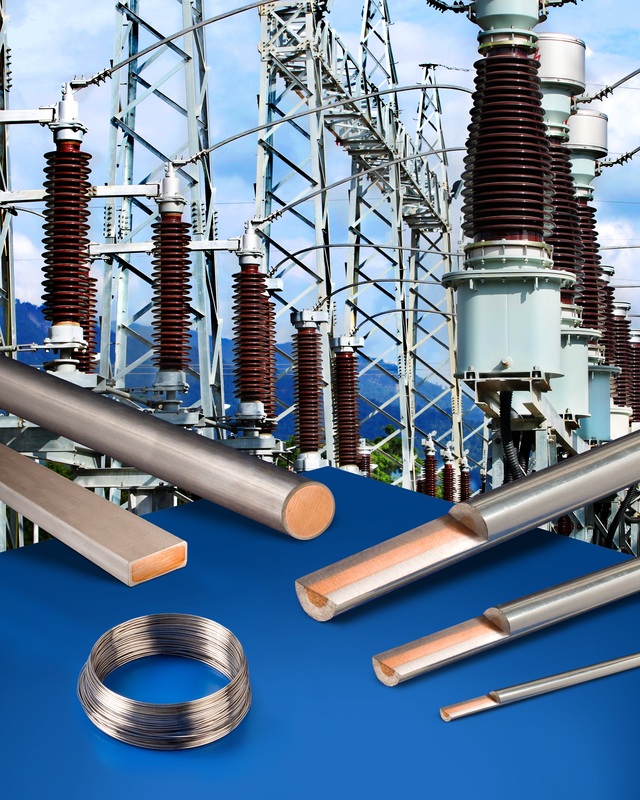 Custom manufactured corrosion-resistant conductors for use in batteries, fuel cells, petrochemical, power generation, remote power, and alternative energy applications are available from Anomet Products of Shrewsbury, MA. Anomet Corrosion-Resistant Clad Conductors feature an OFHC copper core to provide uniform current distribution and a metallurgically bonded clad exterior layer to achieve specific environmental performance capabilities. Designed for various energy technologies requiring high current carrying capability in extremely corrosive or hostile environments, they can be customized for conductivity with cladding thickness from 10% to 90%. clad copper for high strength, and titanium cladding for optimum corrosion resistance. They are available as rod from 3/16” to 1-1/4” dia. and wire from 0.004” up. Metallurgical bonding assures superior ductility, formability, and weld-ability than electroplated wire. Anomet Corrosion-Resistant Clad Conductors are priced according to form-ulation, size, and quantity. Pricing and samples are available upon request.